A few days ago all items for the display case at the Evelyn Meador Public Library in Seabrook TX were in, so I took some photos and placed them in an album on Flickr. 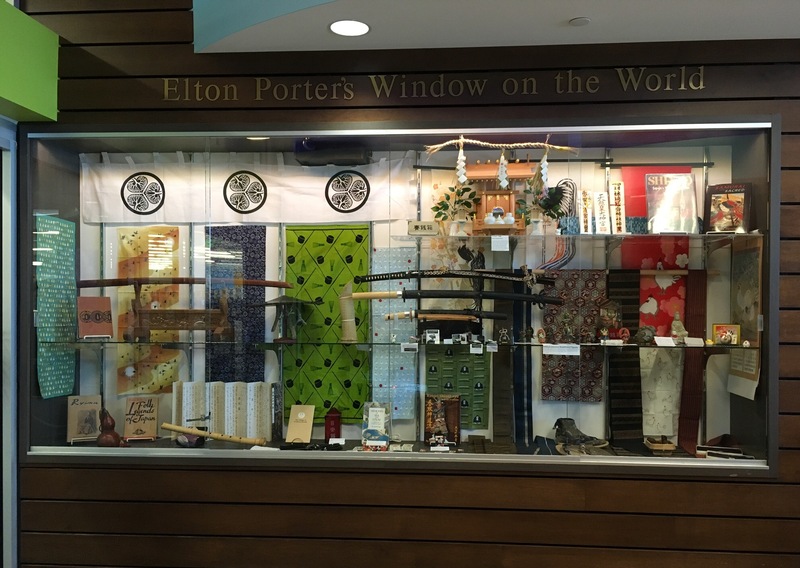 This is a display of Japanese items that I and Ash Welborn, who works at the library, put together from our respective collections. We’ve been doing this every year since 2012 in observance of Asian American & Pacific Islander Heritage Month (May). The display will be up for the remainder of May. On the Saturday (27th) of the Memorial Day weekend there will be a demonstration of Japanese swords arts starting about 1 PM in the library’s meeting room. The link to the Flickr album for this year’s display is below. If you tap the ‘Back to albums list’ link near the top it should take you to the rest of the albums, including those for previous display years. Posted on 2017/05/14 Sun by wp_admin_cli. This entry was posted in Seabrook display. Bookmark the permalink.